As featured in TheDiamondMinecart Custom Mod Adventures on YouTube! Version 1.0.6 now available for Minecraft 1.8, including Furby Boom sounds, Furby Tools and Furby Armour! 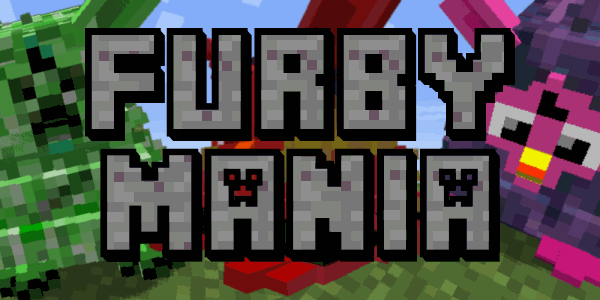 FurbyMania is a mod for Minecraft 1.8 and 1.7.10, using MinecraftForge, which adds passive and hostile Furbies to your world. In case it wasn't obvious, this mod is just for fun, not for profit and is not endorsed by or affiliated with Hasbro in any way. I think the mod is reasonably stable now, but you may still find some glitches. Please let me know if you do - thanks! podrías poner el mod de furbys en minecraft 1.12.2? Listen, can I ask you a question ? Can you make the mod about gremlins ?